Today should be a memorable day for me, because I was standing on One of the Seven wonders of the World – The Great Wall of China. Five of our friends took a cab from Beijing and straightened our journey on Badaling Expressway to reach the world famous monument. 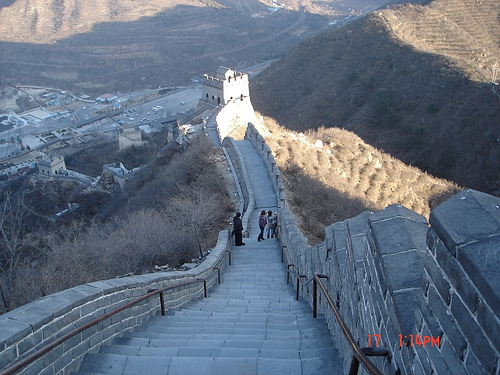 After getting the entry ticket, we started climbing on the irregular steps of the wall. Really, we had a great feeling for imprinting our foot steps on this man-made wonder.